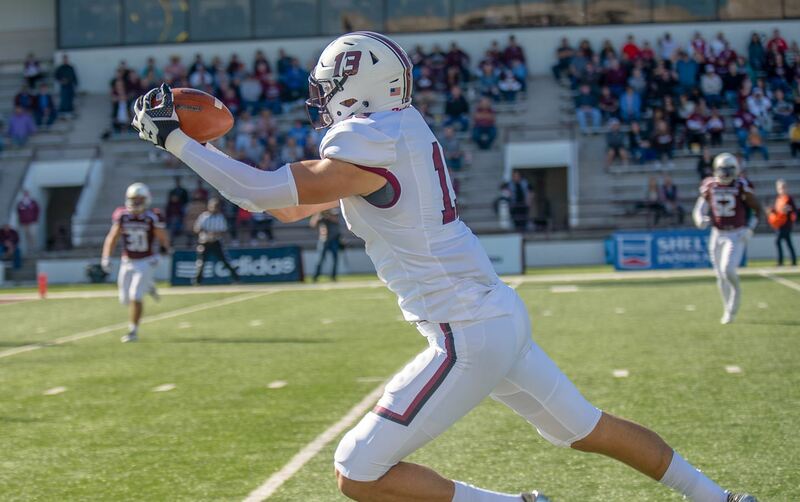 CARBONDALE, Ill. — Nigel Kilby, a junior from Fort Wayne, Indiana and a member of the Saluki Football team, received the Herrin Security Bank Athletic Scholarship for the 2018-19 academic school year. Kilby was honorable mention All-MVFC last season, recording a season-high seven catches for 109 yards and two touchdowns against South Dakota. While at Garden City Community College, Kilby was rated the No. 37 junior college prospect in the country, and according to 247sports.com, he was the No. 3 junior college tight end. During his first season as a Saluki, he caught 16 passes for 230 yards, a 14.38 yard average and scored 6 touchdowns. This fund was established on behalf of Charles Helleny and Sharon Ruth Helleny, SIU graduates from the College of Business and Administration and the College of Education, respectively. Charles is a strong supporter of Southern Illinois University sports and WSIU-TV8. He graduated from SIU with a degree in business administration in 1954. In 1957, Helleny began his career as a bookkeeper at Herrin Security Bank during the bank’s first year of operation. During his tenure at Herrin Security Bank, Helleny worked as a teller, assistant cashier, loan officer, cashier and executive vice president. In 1975, he became the director of Herrin Security Bank and in 2001 was named president and chief executive. In 2018, SIU Athletics named the pavilion in SIU Arena the Charles Helleny Pavilion. Additionally, the first Division I home men’s basketball game has been named the Charles Helleny Tip-Off Classic. Kilby said he is grateful for the opportunity the scholarship has created for him. To see a full list of athletic endowments, click HERE.